I’m inspired on a daily basis by photos of our projects and destinations from around the world. So to end 2014 it’s great to put together some of my favourite images taken in our destinations over the past twelve months. Some of the photos were taken by our amazing volunteers and some by our hard working staff. 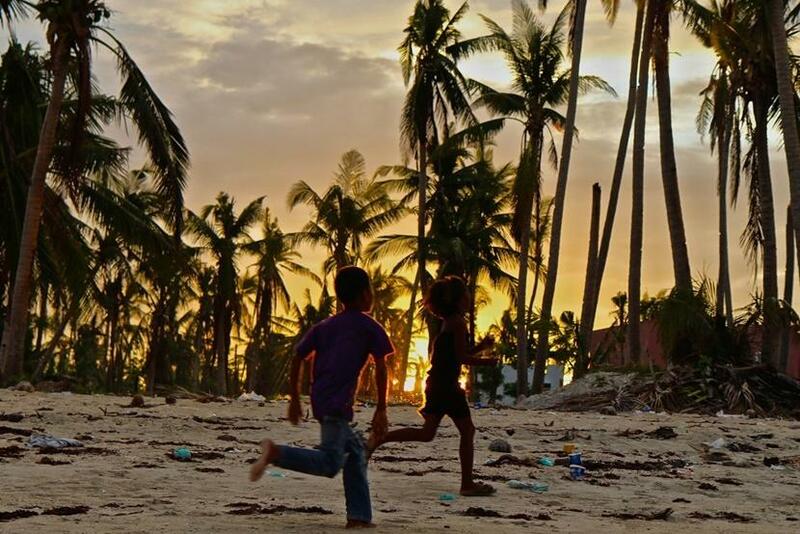 This photo makes me think about how life goes on after devastating events like Typhoon Haiyan. 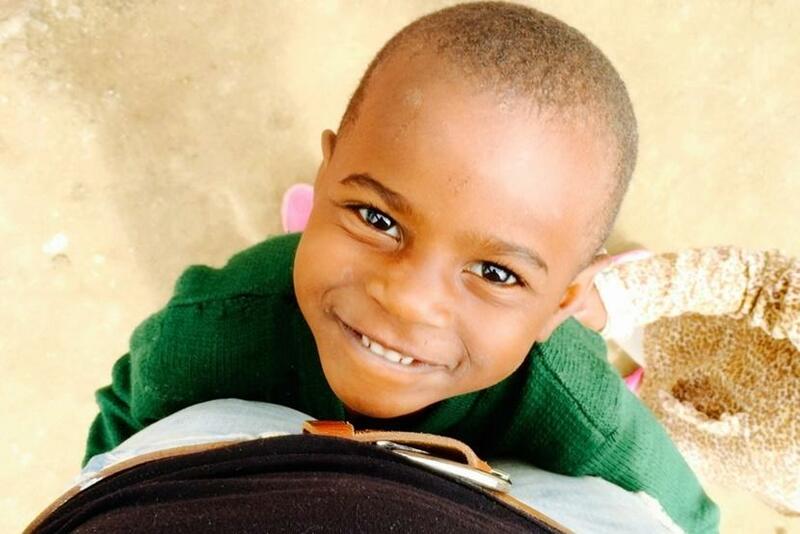 During 2014 over 200 volunteers have worked on our Disaster Relief Project, helping to rebuild schools and homes. This work will be continuing during 2015. 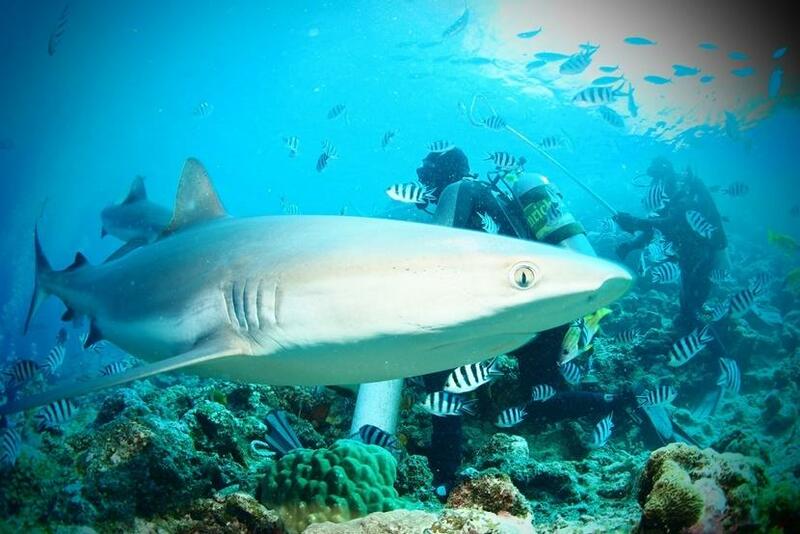 This photo is from our Fiji Shark Conservation Project. Started in January 2014, this is already one of our most popular projects. 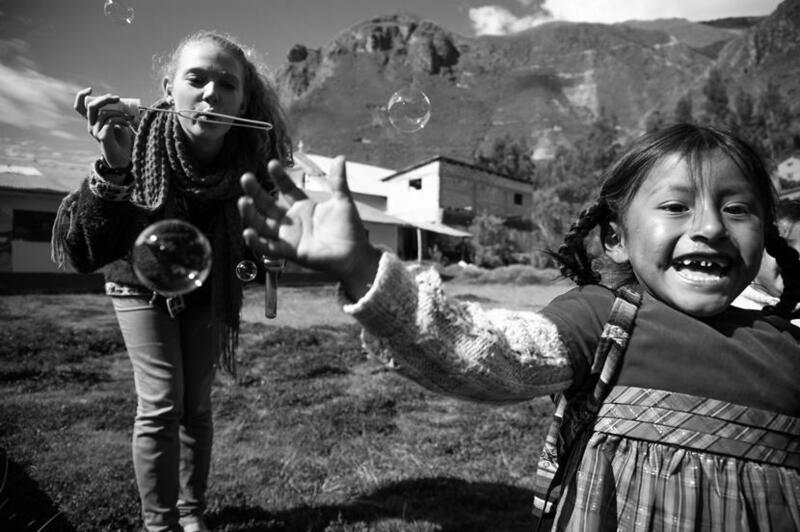 This shot was taken by Australian volunteer Matthew Claring-Bould of a young girl with volunteer Mikaylie Page during her placement on one of our Care Projects in the Sacred Valley. 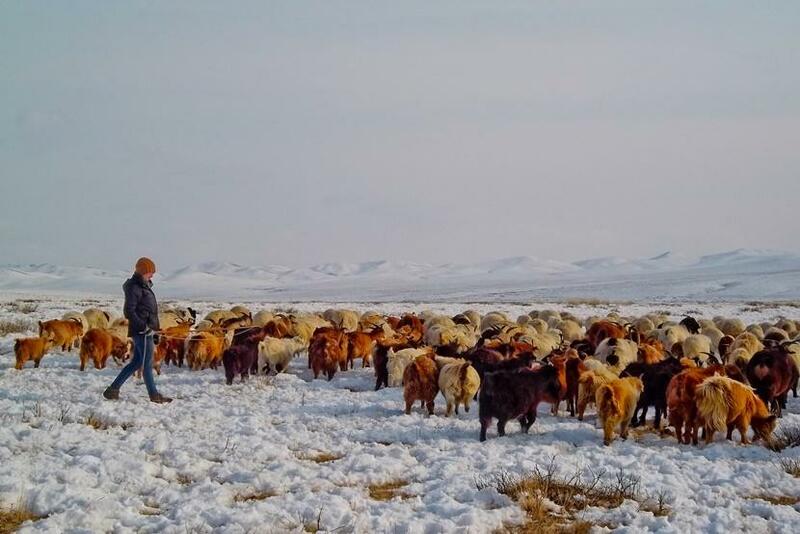 This image is from one of our Nomad Project volunteers, helping to herd the goats on the snowy Mongolian steppe. 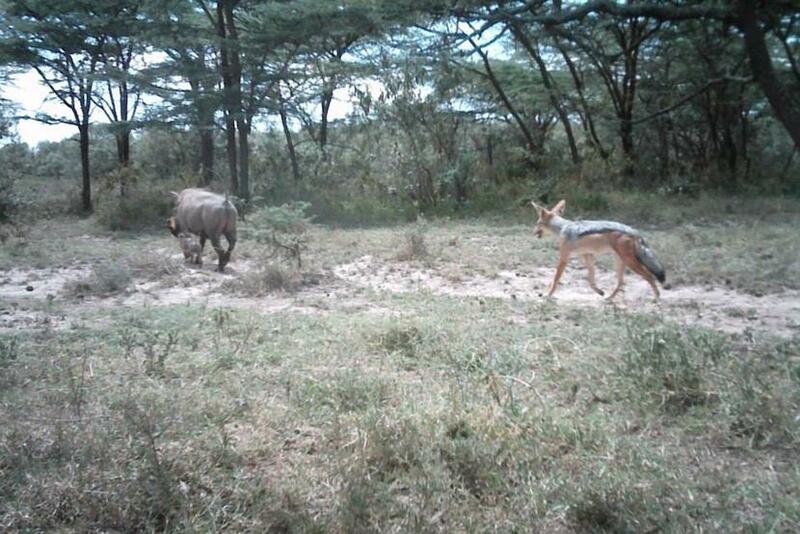 Taken by one of our camera traps on the African Savannah Conservation Project in Kenya, and first appearing in our Camera Trap Blog, this image shows a Black-backed jackal stalking a warthog and her baby in Kenya. For me this image stuck in my head as one of those ‘circle of life’ moments, where you wonder if the warthog baby made it. 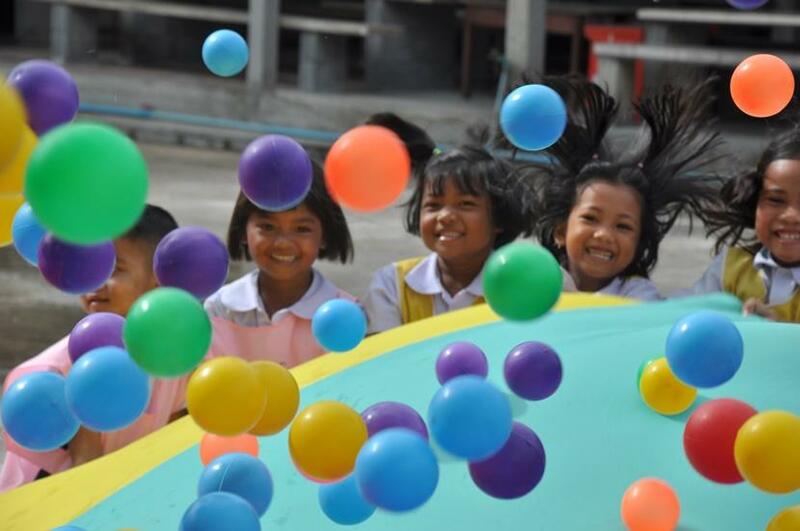 It’s impossible not to smile when you look at the happy faces of these children, playing with balls and a parachute on a Care Project in Thailand. I’ve seen a lot of great sunset shots this year, but this is one of my favourites. 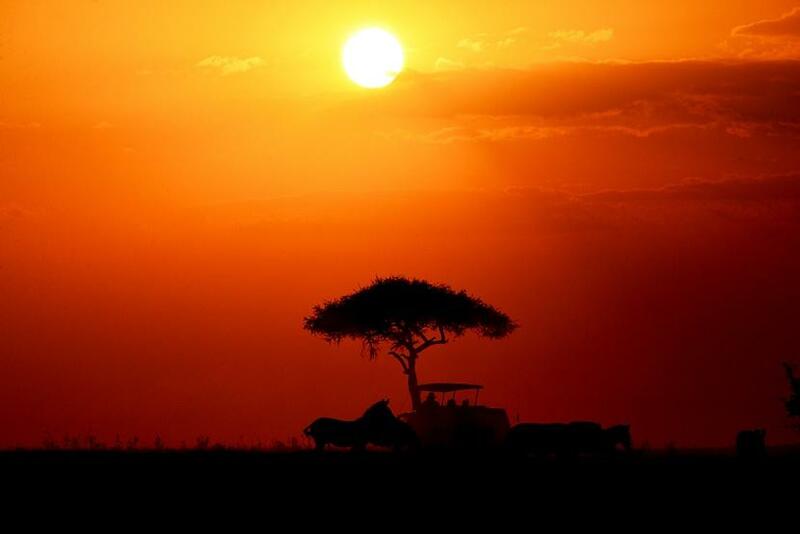 Taken on safari in Tanzania, I love the silhouetted acacia tree, zebra and safari jeep. 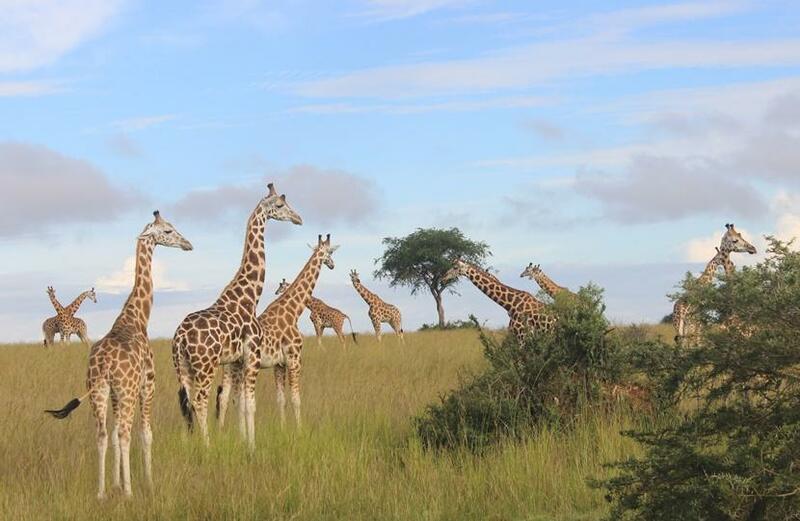 This photo of giraffes in Uganda, our newest destination, was taken by staff member Ilse de Lat. I love the colour in this photo taken by one of our staff in Nepal. The image was taken in Durbar Square, Kathmandu, during the Indra Jatra festival. 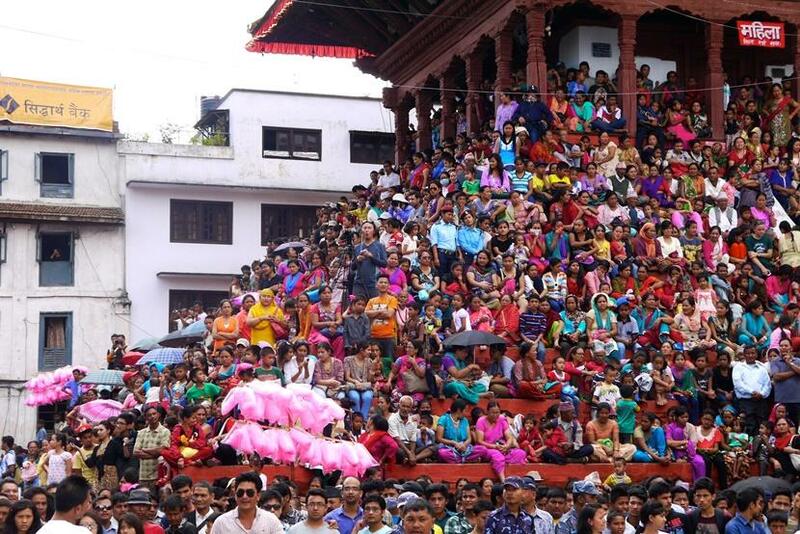 The festival marks the end of the monsoons, and also relates to legends about the founding of Kathmandu. In the photo, crowds are awaiting the procession of the Kumari Devi (the living goddess) on her golden chariot. 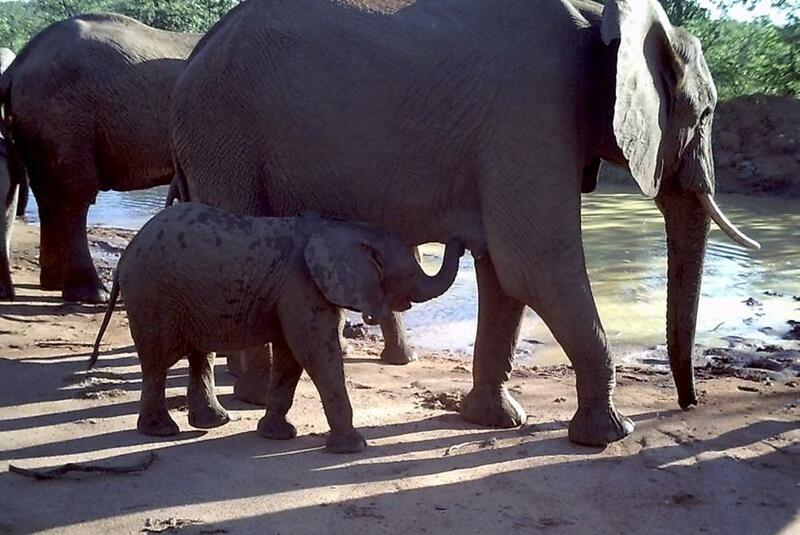 This second image from a camera trap, of an elephant and her baby, was taken on the African Bushveld Conservation Project in Botswana. You can check out more of our camera trap images here. 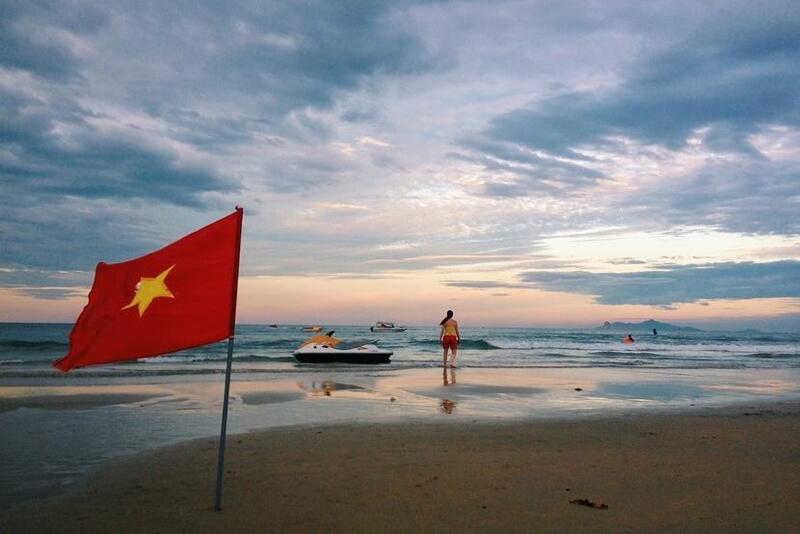 This photo was taken by volunteer Jonathan Bang on a trip to the Da Nang beaches. The coast provides a wonderful change of scenery and pace from the bustling city of Hanoi. I couldn’t resist one more sunset! 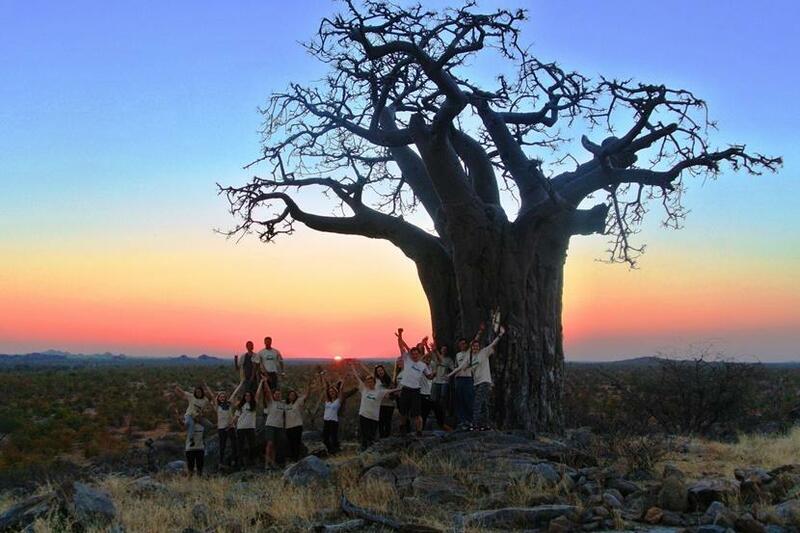 This image shows our Conservation volunteers next to a baobab tree on the African Bushveld Project in Botswana, Southern Africa. So there you have it – some of my favourite photos of 2014. Which of these photos is your favourite and why? Have you been travelling anywhere this year and taken some amazing shots? Let us know below!